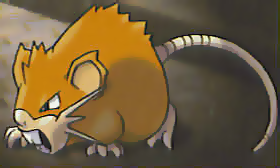 Raticate is normal type Pokemon that looks like a vicious rat with big gnawing teeth in the front and a big ugly tail in the back. 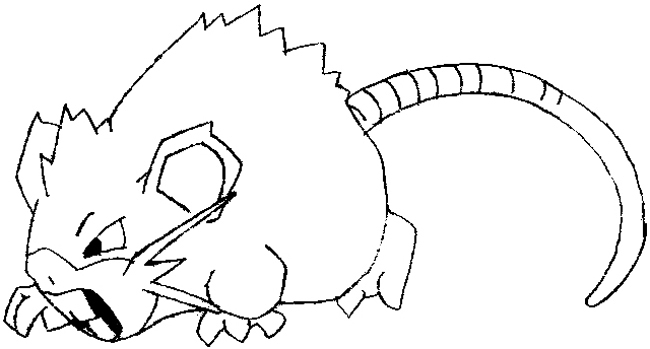 Raticate evolves from Rattata. 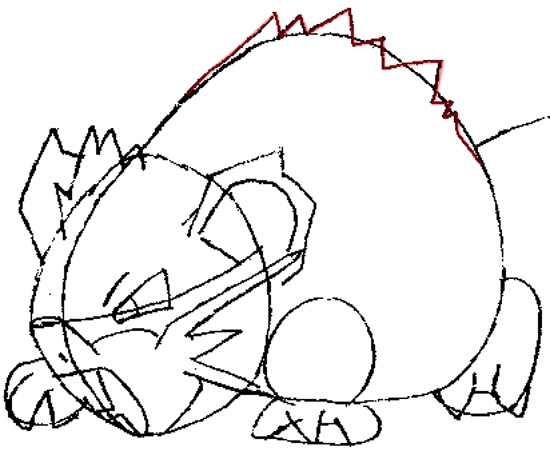 Today we will show you how to draw Raticate with simple-to-follow steps that will guide you thru each part of the tutorial with easy to draw geometric shapes, alphabet letters, and numbers. Find out how to draw him below. 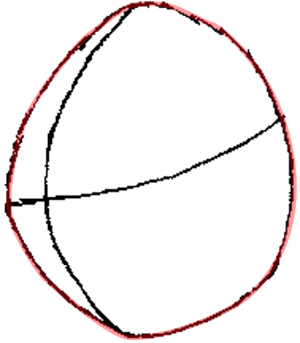 Start off with an oval with a cross section for the facial features guide lines. Add a larger oval at the back for the body but make it so that the top looks like a hump. Basically it is a backwards letter ‘C’ shape. Add a small oval at the back for the hind leg, and a set of smaller ovals at the front for the front legs. 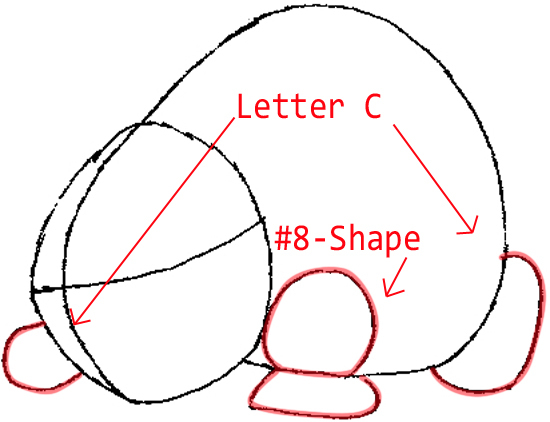 Notice the shapes look like a #8-like shape and letter ‘c’ like shapes. 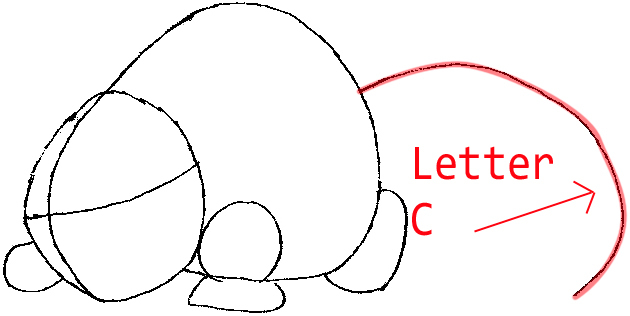 Add a long curved line for the tail guide….it looks like a sideways letter ‘c’ shape. We are working on the face right now. Use the guidelines in the face (blue) to place the facial features. 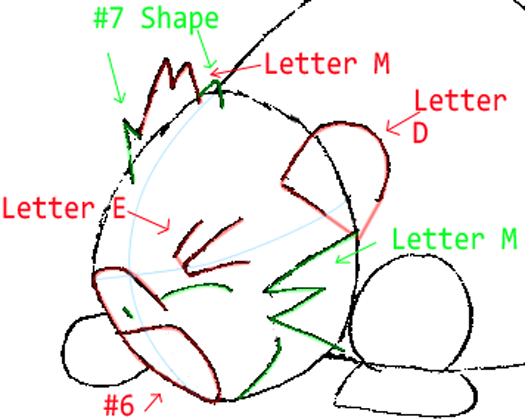 Draw letter ‘D’ shaped ear. 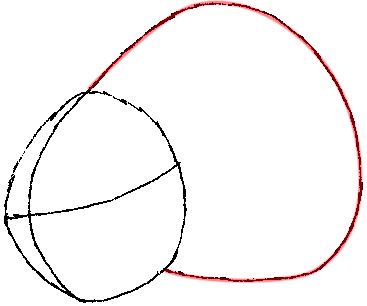 Draw a #6-like shape in the front of the face. The eyes is like a capital letter ‘E’ shape. Draw letter ‘M’ shapes as well. Draw a few more basic shapes to finish off the face. Add some toes to the tip of each leg. The toes have a few letter ‘v’ like shapes in them. The front foot looks like a letter ‘w’ shape. Draw some zigzag lines at the hump for the standing fur. 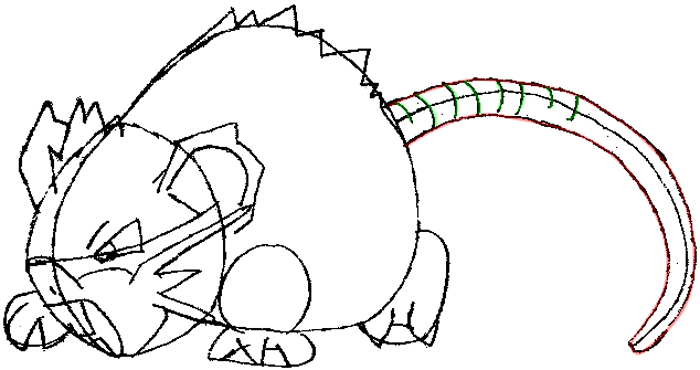 Add some thickness to the tail and some stripes to make it look more rat-like. I hope that your Raticate turned out fantastically well and that you enjoyed yourself. 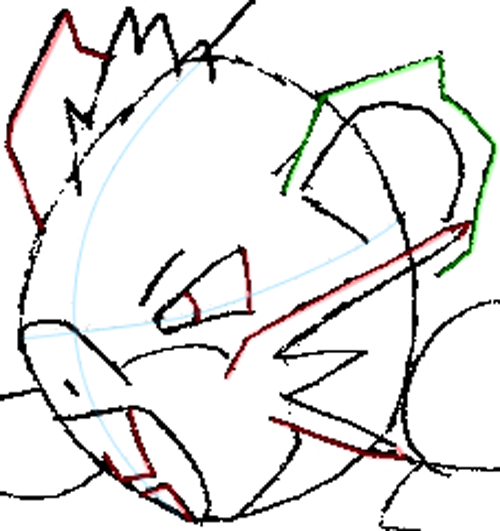 Come back for more Pokemon drawing tutorials as well as many more drawing lessons that you will enjoy. I think that this was incredibly difficult to get looking decent. This article was written on 06 Feb 2014, and is filled under Pokemon.